I am sure like me, many of you have been delighted to see Jo Frost back on our screens with her new show Family Matters. I have always been a huge fan of Supernanny and we employ many of her parenting strategies at Casa B, the naughty step being the most commonly used! 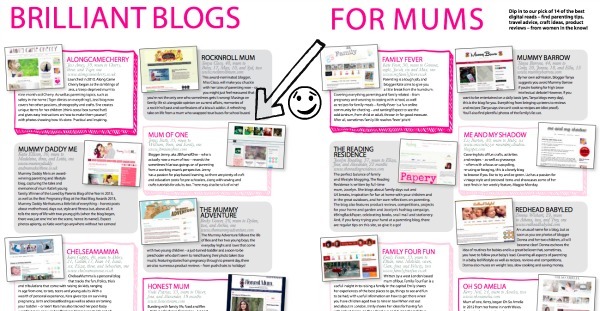 That’s us folks, right there, in the August edition of At Home Parenting with Jo Frost. This makes me very happy indeed, and look at what fabulous company we are in. So if you want to grab a copy for yourself, and if you do there is a fantastic article about stopping tantrums in their tracks, you had better be quick as I am off to buy up as many as I can find! If you can’t make it to the shops then you can find this issue online here. Thanks ever so much. I am thrilled! Congratulations! 🙂 We’re somewhat divided on Jo Frost in our house, with Mummy being a fan and Daddy insisting every kid is unique and can’t necessarily be ‘fixed’ by her methods. Same at Casa B. I do find most of her methods work really well with the toddler though.